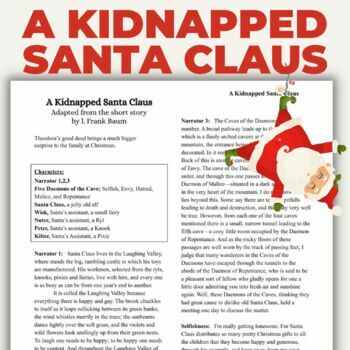 Readers Theater - "A Kidnapped Santa Clause" and One-Pager Theater Arts. 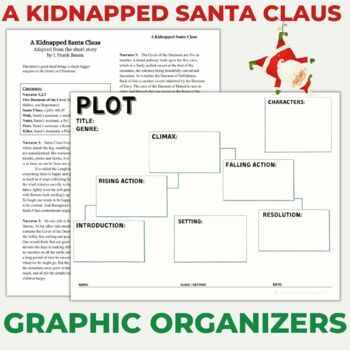 Christmas Breakout Escape Room and Readers Theater Bundle. Holiday Activities. 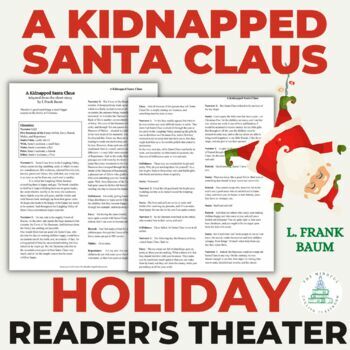 Use as One-Act Play and/or Readers Theater for the upper grades. Adapted to script form from the original short story by L. Frank Baum. Contains original text. Fun reading strategy to improve close reading and comprehension skills. Help students with reading, speaking, and listening skills. Works well for performing arts, theater arts, American Literature, short story or Christmas units. Use as quick and easy skit for Drama Club, English classroom, or ELD classes. Great for building self-esteem and self-concept. Encouraging to students who enjoy acting as well as reluctant readers. 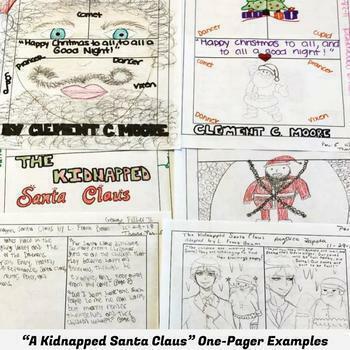 Readers Theater - Little Women "A Merry Christmas"
Readers Theater - Sherlock Holmes "The Speckled Band"
Readers Theater - Sherlock Holmes "The Red-Headed League"
Readers Theater - Nathaniel Hawthorne - "Young Goodman Brown"